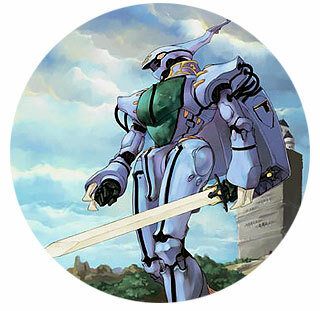 If you thought that Escaflowne was original in it's combination of giant robots and medieval settings, see the series that Escaflowne blatantly ripped off — the original, and still the best, Aura Battler Dunbine! Show Zama is transported to the alternate world of Byston Well to become an "Aura Battler," the pilot of a mecha powered by spiritual energy. 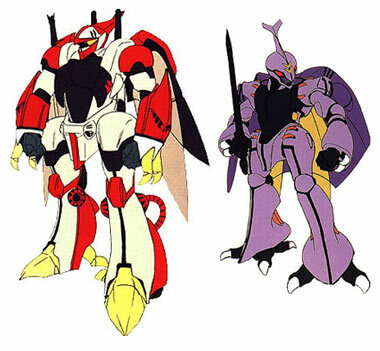 Below: Mecha from Aura Battler Dunbine.